Andrew Rigby is the tipster and founder of the tremendously popular National Hunt tipping service, The Value Bettor. Producing detailed write-ups and shrewd tips between November and early April each year, Andrew’s track record stands up to the closest of scrutiny. At the time of publishing an in-depth re-review of The Value Bettor for our most recent Best Tipster Guide in early March, Andrew was running at an ROI of 30.1% from 1,305 bets issued from the 2012/13 winter jumps season. In this interview, we delve into Andrew’s racing and betting background and gain a real insight into one of the most respected and profitable services monitored by the SBC. SBC: Andrew, thanks for taking time to grant us an audience! Can we begin by asking how you how and when you first started taking an interest in betting? Who was your earliest influence on your betting style and approach? Mark Cotton, who wrote the original Pricewise column in the Racing Post, was the biggest influence on my betting style. I remember experiencing a ‘Eureka’ moment when I got my head around the concept of odds, probability and ‘value’, the importance of which Mark would labour. Everything suddenly seemed to make so much sense. I think the betting world has moved on again since then, but those basic concepts still underpin most of my betting activity. When did you first start thinking about running a tipping service, and why? To be completely honest, I don’t think I’d ever thought about running a tipping service, things just evolved to the point where it just felt a very natural thing to do. Six years ago, I created a public blog where I shared my views on races and horses. It developed a large and enthusiastic audience. This allowed me to demonstrate that I knew what I was doing as I was showing that I was able to select horses that won races. Once I had achieved that, there was a growing appetite for my view on specific races, and I was happy to provide it! However, it does take a lot of time to formulate and write up my thoughts. To justify my taking that time, I felt that I needed to charge a subscription fee. I don’t really think of myself as a tipster – more as someone with a deep understanding of racing – and many years of betting experience, and so far that formula seems to have worked. TVB is different to other betting services we know in that it positively encourages member interaction…there’s a member’s forum and days out at the races arranged, for example. What are your reasons for coming away from a simple, prescriptive tipping service? I love solving problems – and I love NH racing. The most effective way of combining those two passions, and earning some money, is via tipping. If I were only to tip, it would be a very hollow thing for me. I’ve set TVB up so that it’s about education and entertainment, as well as monetary gain. The forum is a great place for people to share ideas and ask questions: the days at the races enable like-minded people to get together and enjoy each other’s company whilst sharing their passion for the sport. I want my subscribers to be genuinely interested in the racing, and in solving the puzzle of the race. I feel that the betting should be the icing on the cake – not the cake itself. TVB runs from November to the end of the Grand National meeting in April. This means that you concentrate your efforts on National Hunt racing only. Why is this? There are numbers of reasons for this timeframe. Firstly, I much prefer National Hunt racing to the Flat (even though I acknowledge that it’s harder to find a betting edge). As a spectacle, as a sport, I find it far superior. Add to this the fact that there is less NH racing, I find the subject area is more manageable and I’m able to give it full concentration. With jumps racing taking place primarily through the winter too, it fits better than summer sport with my other commitments. I also think that if you are really going to throw yourself into something (as I do with the racing), then six months of doing so each year is long enough. I really don’t think I could maintain the level of intensity required over the course of the entire year. So, October arrives and attention starts to transfer from the Flat to the Jumps. How do you prepare for the new TVB season at the start of November, and when do those preparations begin? My preparation actually starts at the end of the previous season; I take time to review it properly, working out what went well and what might need to change. We live in a world where if you stand still, you are effectively going backwards, so I’m always looking to evolve. Once I’ve identified areas of potential change, I propose them to my existing members so that I can get a feel for how they might be received. Then, during the summer, I allow the possible changes to float around my mind, and I tweak my ideas a little. So come September, I can work on defining the improved service for the season ahead. I am lucky enough to have an incredibly loyal (and knowledgeable!) set of subscribers who thankfully tend to support whatever changes I make (generally because they know that they have been made for good reason - and because they’ve been given chance to influence them). My renewal process takes place during October (along with the TVB ‘pre-season’), with the new season starting on November 1st. If we can now ask you about your methods? Can you talk us through the “typical” TVB mid-season day? A typical day would start just after 11:00am when the declarations for the following day’s races are released. I like to examine them at that point, with a clear mind, uninfluenced by betting forecasts. I’ll identify horses and races of potential interest and I start to make a few early notes. By early evening, the opening bookmaker shows appear – and I receive my email alerts. These both get added into the picture – building on earlier thoughts. At 6:30, the Spotlight comments are released on the RP and I like to read those, to check that I’ve not missed any obvious angles! (I find Spotlight is generally quite good – and certainly consistent in his methods). By then, I’ll have a good idea of the horses I’m interested in tipping, so I take things to the next level and start watching replays of the relevant horse’s recent races plus those of any dangerous looking opponent. Finally, I’ll check out the ‘Signposts’ service in the Racing Post. Again, this is mainly to check that I’ve not missed (or thought) anything silly! After sleeping on things, I issue any ‘early’ tips at around 8:30 in the morning. The rest of the morning is spent writing up the rationale for the tips with me aiming to send out my write-up before lunchtime. By that point, the following day’s cycle has commenced so watching the afternoon’s racing runs in tandem with studying for the following day. At the height of the season, it really is 24 hour job! How much of your day then, is dedicated to betting in one form or another? Very little of my day is dedicated to betting. I don’t tend to have much opportunity until just before the races are being run, so generally I place my own bets on Betfair. I will often back and lay on the Exchanges – both pre-race and in-running – depending on the odds available on the horses I fancy/don’t fancy. So what is the process of identifying a horse you actually want to tip? I maintain a list of ‘eye catchers’, ie. horses that have caught my eye on a previous run. These account for around half of my tips, although obviously they need to be running under the right conditions. The other tips come from dissecting races. This is a time consuming, albeit enjoyable process, which means it’s not easy to assess as many races as I would like. I use conventional form study to do this, assessing suitability of trip, ground, course, etc. for each runner, in conjunction with their handicap rating. What “tools” do you use as part of your racing study, eg. form book, database, list of horses to follow, etc. Are there any that you would particularly recommend to any budding form analyst? I use the form book, and my eyes and memory. That’s it! I make sure to watch as many races as I can, and I use my years of experience to try and spot the important ‘subtle signs’. This, backed up by the form book, has stood me in good stead for decades. How much then of your analysis is visual (ie. watching race recordings) and how much is from the form book? I would say it’s about 50:50. I wouldn’t select a horse based purely on what I’ve seen, because you always need to put a performance into context; but equally, I don’t like to select a horse without having seen it run (in case it displays characteristics which you can’t pick up from the form book). Knowing the “ins and outs” of a horse, it’s likes and dislikes, is obviously a key factor in your tipping. How do you keep a record of each horse, so that you know for example, that Horse X needs soft going to perform at it’s best? Most of it is from memory. It’s a whole lot easier to remember things when you are genuinely interested in your subject. If I can’t remember a specific, then I consult the form book – 30 seconds looking through a horse’s profile tends to jog my mind! You are known for discovering “angles” that few can see and you love a “story” behind a horse. How much of your form study is scientific, and how much goes on “gut feel” and “reading between the lines”? Again, I would never go simply on gut feel…I always need some hard evidence to back up any feelings I might have. However, if I can find the evidence to support a gut feel, then it tends to make me a lot more confident that my interpretation of the information is right. What are the biggest challenges you face when trying to read a race? Very simple - the huge number of variables that exist. There has always been the ‘classics’, such as ground, jockey, trainer form, distance, etc. However, there are now various additional factors to be considered. For example, there are six different types of headgear that trainers can use (blinkers, visor, hood, cheek pieces, tongue tie, eye shield) and jockey bookings tend to be more significant, particularly when it comes to the use of conditional jockeys who can claim a weight allowance. At times, it can be almost impossible to weigh up the relative importance of all of the different variables. What are the biggest challenges you face when making the decision as to whether actually tip a horse or not? The biggest challenge tends to be whether I think people will actually be able to back my tip, and not get accounts closed, if they do! I only like to tip a horse if it is actually backable at the price specified, and with the sensitivity of the markets nowadays it can be difficult to feel confident about that. It’s not an easy problem to find a way around and I’ve adjusted my service this year so that I only tip in ‘Big’ races where the bookmakers are more likely to take a bet and the markets are less volatile. I do still offer views on some of the smaller races via a public blog, but I think people need to make their own decisions about why and if they back horses in those races. Can we move now to issues of the Market and of identifying value within it? The name of your service gives a hint as to the importance you attach to finding value in your selections! What is your definition of “value”? Defining value is simple, it’s achieving it that’s the hard bit! Firstly, you need to accurately assess the chance a horse has of winning a race. That’s the hard bit – simply because of the huge number of variables that need to be considered, as I’ve mentioned. If you decide that a horse has a 20% chance of winning – and you can secure odds greater than that (ie. bigger than 4/1) – then you have a value bet. It really is as simple – and as difficult – as that! How do you calculate whether a horse’s price represents value or not? What factors do you take into account? There are literally hundreds of factors that potentially need to be considered, when assessing the relative chances of a horse. Many of them are obvious: handicap mark, recent form, going, distance, jockey booking, etc. Some are far more obscure, eg. a trainer’s record at the track, a horse’s record at the time of year, for example. Thankfully, the brain is clever enough to deal with many of these very quickly, unless the race is particularly trappy. Working out whether a price is ‘value’ or not then comes down to assessing a horse’s chance of winning and then comparing it to the prices on offer. So do you produce a tissue price for each horse in the race you’re analysing? And if so, can you walk us through the process of doing so? I don’t produce a tissue price for each horse in a race. What I do instead is identify a list of horses which I think could win, and then a second (shorter) list of horses that I might be interested in backing. Often there are horses in a race which you know have a chance - but you also know are likely to be over-backed (due to the Connections, for example). I will always take a stance against such horses because they will rarely represent value. If I identify eight horses in a race which I think could win, the average price of each horse should be 7/1. I then look to place them in order of their likeliness to win and form a rough tissue based on that. In this example, I would expect the ‘favourite’ to be around 7/2 and the ‘outsider’ of the eight, around 14/1 (half the odds of the average - and double the odds of the average). Having eliminated the horses I expect to be overbacked (I’m very suspicious if they are not at a shorter price than I would expect), I will normally be left with three or four possibles. I’ll compare the price on offer for each of them with the price I had calculated using my tissue. The ‘value’ bets (where the odds on offer are greater than the odds I’ve ‘calculated’) are the ones which I then look to back/tip. You have in the past provided your members with horses that you feel should win but are not at a price that you want to see to make them an ‘official selection’. You called these ‘Top Picks’ and they tend to be profitable to bet! Why do you differentiate between the shorter priced horses and the longer when it comes to issuing tips? Firstly, in jump racing in particular, I don’t think there is ever such a thing as a certainty! So much can go wrong during a race and luck will always play a significant part. 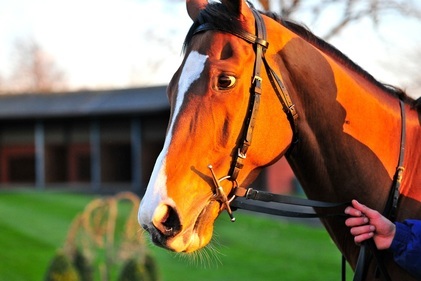 Backing National Hunt horses at short prices just feels wrong, as if you are tempting fate! The other reason is that I tend to feel that there isn’t too much skill involved in suggesting that a favourite is the most likely horse to win a race! Generally, the favourite is the horse most likely to win, so tipping it feels like a bit of an opt out (particularly bearing in mind the luck element). All this said, softer fences and better ground, plus healthier horses, have reduced the luck element over the years – and the reality is that more horses that should win races, now do so. When issuing tips you have always used tipping windows, the times of which have seemingly been dictated by the strength or otherwise of the markets. You also mention regularly that a horse would have been a tip earlier in the day but that a subsequent shortening of the price has stopped it from being so. If your pick has been supported in the market, is your confidence not strengthened further and is it not therefore still worth backing? Most of the early betting is carried out by form students and people who follow tipsters, so proxy form students! The fact that someone else has come to the same conclusion as me concerning a race, is never going to strengthen my confidence. Consequently, all that happens is I end up with reduced odds and the ‘value’ calculation for the selection, comes under question. If the money was being placed by Connections – because they knew that a horse was ready to do itself justice – then that would be a completely different matter. However, that money tends to arrive late, as generally that’s the only point when the markets are capable of absorbing decent sized bets. Psychology always plays a huge role in successful betting. Losing runs are part of the game of course. How do you handle yours when they arise? From a personal perspective, because most of my bets are placed on Betfair, and are both backs and lays, then I don’t tend to experience significant losing runs. Put simply, I place far too many bets, spread across too many different outcomes, for my P&L to be anything other than a reflection on my knowledge and judgement (and history tells me they are both sound!). It’s one thing coping with losing runs when simply following a tipster though, but it must be even harder when you are the one issuing the tips. How do you cope, knowing your members are following you in? Losing runs as a tipster, are a different matter entirely! They will happen of course, particularly at the odds I tend to play. Fortunately, most of my subscribers are experienced bettors and have been with me for many years. They know and accept the ups and downs and have had plenty of good days to offset the bad ones. I’ve got an amazing set of guys behind me, and that is a massive help. I can honestly say, that even on a bad day (or week/month), I rarely get even a dissenting murmur. Having such supportive people behind me does give me a great sense of security in what I do. And on the same point, how do you remain focused and not allow the psychology of coping with a losing run effect your judgment when it comes to the horses you pick? Is it sometimes preferable to take a break or better to plough on regardless? It helps that there is so much more to the TVB service than just tips. Consequently, even when the tips aren’t performing well, I will still hear stories of guys backing horses which I’ve mentioned positively, or which they’ve found themselves by using methods discussed on the forum. All of this reduces the intensity of the tipping. From my own perspective, I try not to think about how the tips are doing – be it good or bad – and just take each day’s racing as it comes. I’m always hugely enthusiastic when I see the declarations for the next race and the prospect of solving that puzzle takes my mind off any tipping issues that I might be experiencing. We all know that these days the online bookies are not willing to play ball with anyone who shows they might know what they’re doing! I presume account restrictions have affected you and your members? I’ve had a couple of accounts closed but I don’t really use my accounts enough for it to be an issue. I’ve reached the premium charge limit on BF on three occasions – but that’s a different matter! Most of the guys on the service have account restrictions – or severe account restrictions, and plenty of them can only use the Exchanges or BlackType. This was certainly a big factor in me adjusting the service to only cover ‘Big’ races. Betting in shops then becomes more viable – and generally speaking, even if it’s not possible to place bets when I issue tips, the races in which I am tipping are sufficiently competitive for a fair price to be achieved on most horses, at some point before the off. What steps do you recommend your members take to navigate their way around account closures and restrictions? Any advice you can give? If you are going to bet on the horses, leave it until after 11:00 in the morning and avoid small mid-week races (particularly on the AllWeather or over in Ireland!). If you can mix in football bets as well, then that will help. Do you feel it is harder to establish an edge at the Exchanges than it is with the bookmakers? It is certainly harder to establish an edge - but if you have the time to monitor the Exchanges, it is definitely possible. Liquidity can be an issue nowadays – particularly in the smaller races. In the bigger races however, there is normally sufficient liquidity from the evening before and so it is just a question of biding your time and picking off bets when the prices move in your favour. I tend to have a list of horses I want to back and target prices. I check Betfair every couple of hours and if the horses I’m interested in can be backed at the ‘right’ price, I back them. If they aren’t, I wait. I generally wouldn’t recommend putting in unmatched bets, as all you are doing is advising the layers as to the price you would be prepared to take (it’s preferable to make them work that out for themselves, by having to offer a price). What do you consider to be one of your best tips or bets, and can you talk us through how you identified it as a bet? I first picked up on the horse when he won the 2010 Powers Gold Cup at Fairyhouse. That race was run in desperate conditions, and he powered through the mud to win by 23 lengths at 25/1. Not many horses can handle those kind of conditions as he did, and so he was placed in the back of my mind for when similar conditions occurred. Roll on three years, by which point he was an 11 year old running in his second Thyestes Chase, this time on bottomless ground. Not a lot had gone right for him in those three intervening years; just 12 runs and no wins! He had certainly struggled for the two years immediately following his Fairyhouse win but I’d seen plenty on his previous four runs that season to know that the fire still burnt inside. He had been pulled up on his previous outing, in the Welsh National, but he had travelled with purpose that day until his stamina gave out. Come Thyestes day, I wasn’t confident that he would win – but I was confident that he would run a huge race – and was likely to handle conditions much better than most of his rivals. From a tipping perspective, I only managed to secure 25/1 - but his SP on BF was over 60! In the race itself, he travelled beautifully and managed to fend off Tarquinius by a head. The story would have been very different if he had been collared on the run in, but on that particular day, the Gods were smiling on me, on Jadanli, and on the rest of the TVB community!